Inspired by early Cape Dutch furniture, the nostalgic Riempie Collectionᵀᴹ is a celebration of our western heritage. Time honoured traditional joinery in solid Kiaat timber has been combined with simplified lines and contemporary proportions. The bright colour and enlarged scale of the Malaysian hand caning weaving pattern of the chair seats gives another contemporary twist to this traditional craft detail. 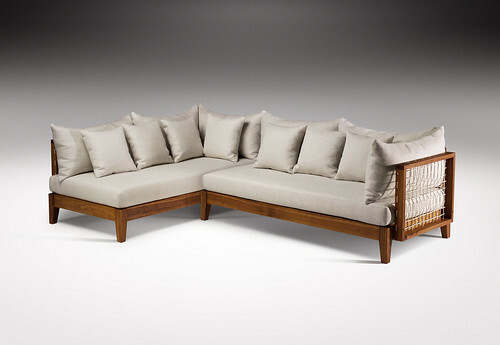 The Modular couch system uses traditional leather Riempie on the modular arms and backs.